The company contracted to develop the airport at N. Maafaru wishes to enlarge the airport to accommodate the world’s largest passenger airliner – the Airbus A380, says President Ibrahim Mohamed Solih. Speaking during a campaign event for MDP’s candidate for the N. Manadhoo constituency this Sunday morning, Solih announced that the company contracted to develop the Maafaru Airport – which can currently accommodate Airbus A320 and Boeing 737 aircrafts - wants to enlarge the airport so it is able to accommodate the largest passenger aircrafts in the world – the Airbus A380. The Maafaru Airport Project is funded by Abu Dhabi Fund for Development (ADFD) – which awarded USD 60 million in non-reimbursable financial aid toward the project - and contracted to Singaporean company, Tuff Offshore. The project has been on hold since the first test flight landed at the airport on August 18, 2018, during the presidential campaign. “Today, the developer wants to further enlarge the airport. As you know, the current length of the airport is 2,200 meters. They want to enlarge it by a further 1,000 meters and make it an airport which is able to accommodate A380 aircrafts – the world’s largest aircrafts. We welcome this,” said Solih. Solih asked for cooperation from the Maafaru Council and citizens of Maafaru to accomplish the plan. “We need to seize some of the few residences near the airport. A few residences. But we have decided to do this by awarding a good compensation. So what the citizens of Maafaru can do is, to do the things necessary to make this airport the largest airport in Maldives,” said Solih. He said that the Maafaru Airport would be turned into the largest and most modern airport in Maldives. 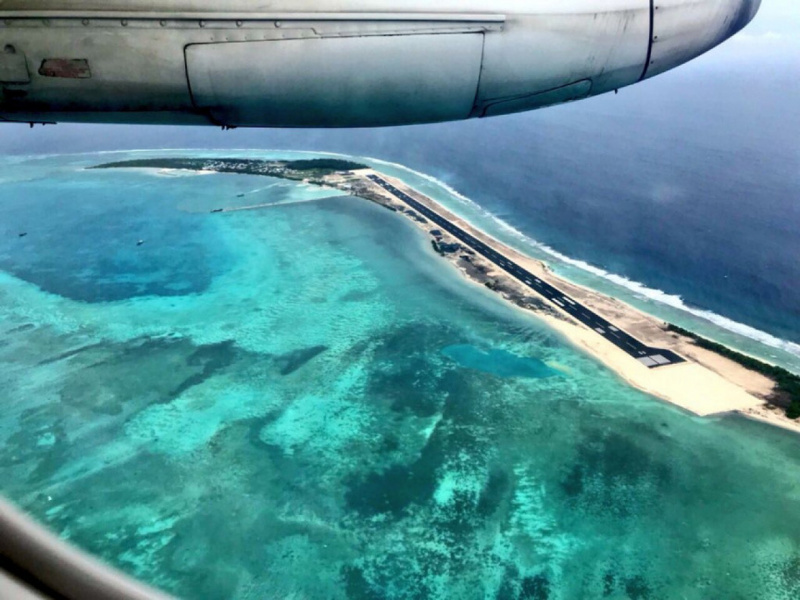 Solih said that the contract between the developer and the former administration for the Maafaru Airport Project stipulated the award of uninhabited islands to the company. He said that the former administration had determined the uninhabited islands it would award. “According to that agreement, the administration is required to award the party uninhabited islands or an uninhabited island. And that administration determined the islands it would award. But the obligation was not met when the administration transitioned. From what we found out following negotiations, both the islands have been leased to other parties,” said Solih. He said the administration was in the middle of negotiations on fulfilling its obligations to the company. Minister of Transport and Civil Aviation, Aishath Nahula travelled to Abu Dhabi for negotiations regarding the Maafaru Airport Project with ADFD on January 10, 2019.